Matt Page is an aspiring fiction writer who is looking to spread his wings and find his voice. He writes for local publications in Ottawa, Canada, and Matt is now aiming to find his niche with a broader audience. Short stories and flash fiction are his preferred medium but he is unafraid to undertake any writing project. Matt finds inspiration for his writing in his local community; he is passionate about telling down-to-earth stories to which everyone can relate. A major influence on his storytelling is the late Stuart McLean. You can learn more about Matt’s writing at frontpageinc.net. It is hard for me to believe that we are winding down our Writing Spaces segment for 2017. It has been such a joy and delight to hear from our contributors about where they write and see their photos. 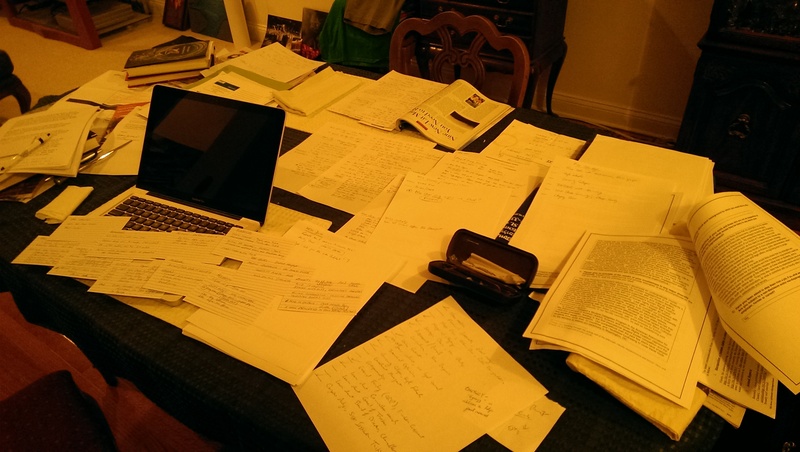 Fifteen writers have shared with us their spaces, and two more will on episode 89. I’m currently imagining what this segment will look like in 2018, as I very much want to bring it to you again. If you have feedback, please let me know. Audra Kerr Brown was first with us on Episode 47, Mother’s Day 2016. I could spend all day looking at this photo. She’ll tell us more about all the details of her space. M. Pepper Langlinais shared her story back on Episode 34. She’s here to tell us the story behind this space. Jeff was previously with us on Episode 30, the dystopian episode, and it is a delight to welcome him back to the show. What do you see when you look into the eye of humanity? A chance encounter with a stranger on a train makes a woman wonder who is friend and who is stranger in “The Good Samaritan.” By Mary J. Breen, copyright 2011, used with permission. Read Mary’s bio. First round of a new segment! “I’m a Meme Writer” features “After I Finished my Salad…” by Kris Baker Dersch, copyright 2017. Rental of a place sight unseen leads to “The Lonely Key.” By Joan MacIntosh, copyright 2016, used with permission. Read Joan’s bio. 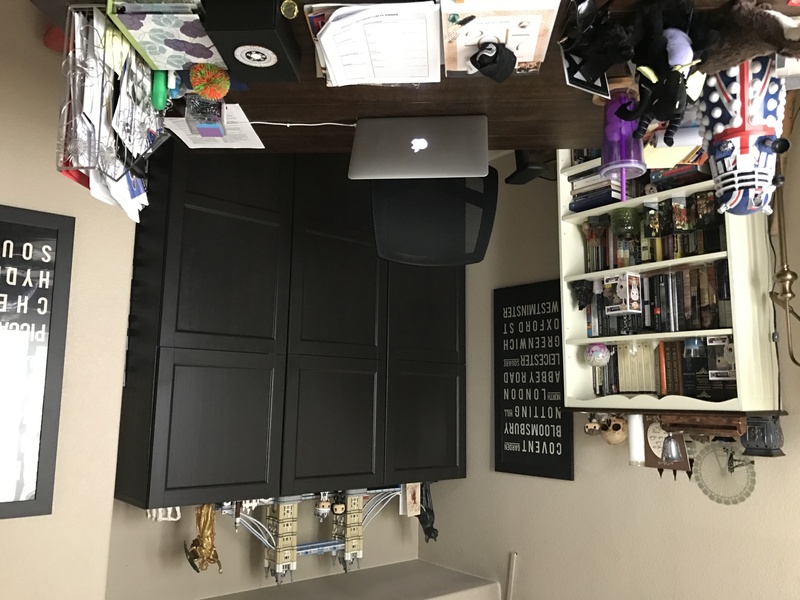 Joan MacIntosh was previously with us back on Episode 57 and shared with us her writing space on Episode 77. We are pleased to welcome Joan back to the show. Joan MacIntosh lives in St. John’s, NL, and writes poetry and prose. Her work has been previously published on No Extra Words as well as in Leafpress, TickleAce and others. Mary is making her second appearance on the show, having been with us on Episode 83 back in June. The world is always on the verge of exploding and reinventing itself. “A Town Built on Salt” is on a shaky foundation indeed. By Windy Lynn Harris, copyright 2014, used with permission. This piece was originally published in Crack the Spine in April 2015, issue 147. Visit Windy’s website. Hanako’s world is very small and carefully observed, but observers miss things in “Hanako Learns to Count.” By Sean Patrick Whiteley, copyright 2016, used with permission. Read Sean’s bio. 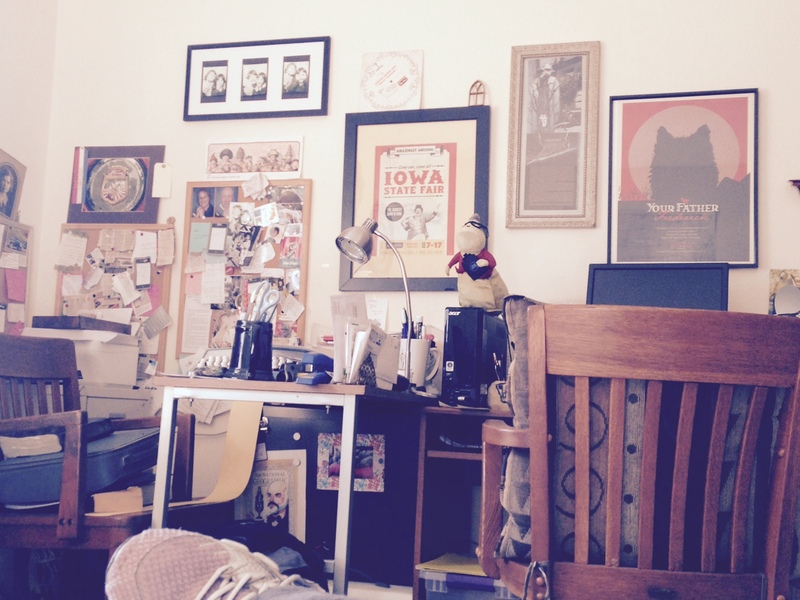 Today’s Writing Spaces features longtime friend of the show and repeat contributor Dr. Jeffrey Toney. He was originally featured on Episode 49 and was part of Episode 82‘s drabble spectacular. Click here to see his writing space. There are the things you see about a person, and things you don’t, especially when that person is “Watermelon.” By Lisa Ko, copyright 2015, used with permission. Read Lisa’s bio.